Standing at 6 feet 3 inches tall and weighing 303 pounds, this guy is definitely big. 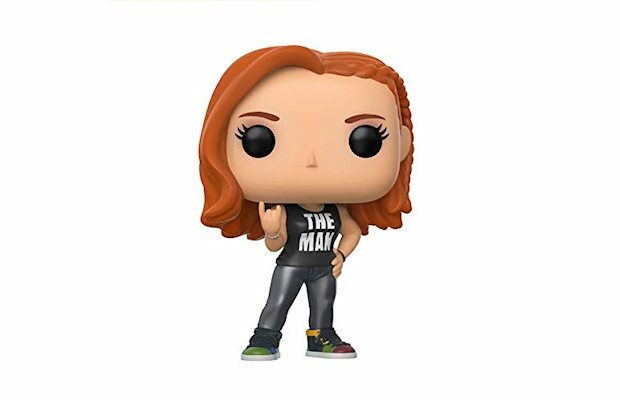 Here is what you need to know about this unique wrestler. Real name: There’s conflicting information on the real name of Lars Sullivan. When Sullivan joined WWE in 2013, Wrestling Observer Newsletter editor Dave Meltzer reported his name as Dylan Miley. He also wrestled under that name in NXT from 2015 through 2017. However, when Miley changed his ring name to Lars Sullivan in May 2017, Meltzer reported his real name as Dylan Roode. It’s possible that Sullivan didn’t want fans to confuse him with Bobby Roode, who was already a world-renowned wrestler by the time he joined NXT in July 2016. Sullivan has an account on BodySpace, which confirms his first name as Dylan. Age: According to Lars Sullivan’s BodySpace account, he is now 30 years old. His birthday is July 6, according to this Instagram post by WWE. Therefore, he was born on July 6, 1987. Ring names: After wrestling under the name Dylan Miley since his debut in 2015, he began appearing as Lars Sullivan on May 6, 2017. 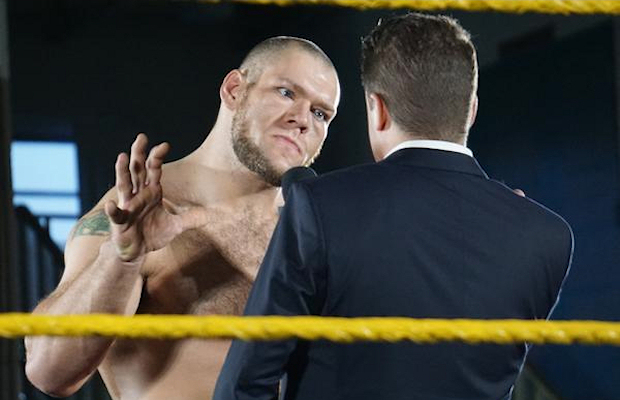 Height: WWE bills Lars Sullivan at 6 feet 3 inches tall. His height might be exaggerated as he lists himself as 6 feet 2 inches tall on BodySpace. Weight: WWE bills Lars Sullivan’s weight at 303 pounds. That number might be exaggerated as Wrestling Observer Newsletter editor Dave Meltzer and Mike Johnson of PWInsider.com both had him listed as 285 pounds when he joined the company in 2013. 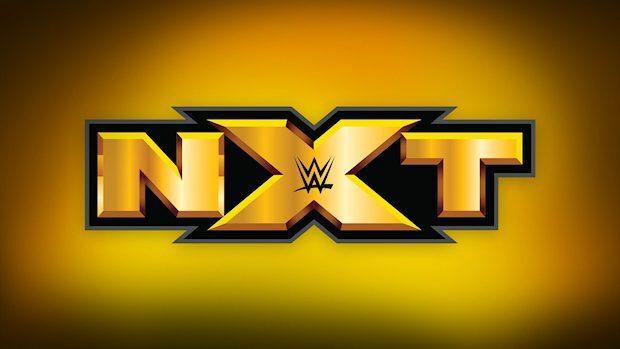 Billed from: At NXT live events, Lars Sullivan gets billed from Denver, Colorado. According to his BodySpace account, he lived in Westminster, Colorado, which is a northwest suburb of Denver. Trained by: Lars Sullivan is now being trained by various coaches at the WWE Performance Center in Orlando, Florida. It is not known if he did wrestling training before joining WWE. 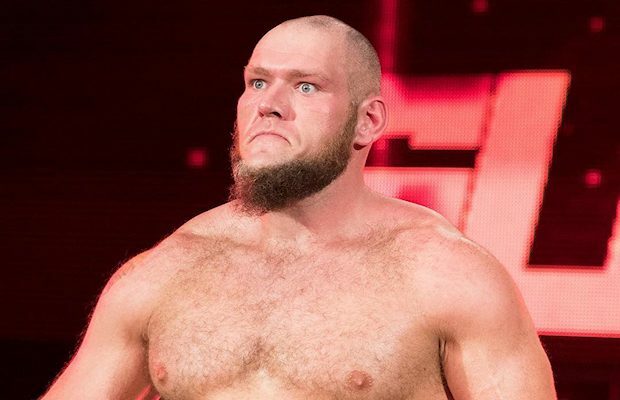 Wrestling debut: Under the ring name Dylan Miley, Lars Sullivan made his wrestling debut on March 29, 2015, at WrestleMania 31 Axxess in San Jose, California. He beat Marcus Louis. Find Lars Sullivan online: You can find Lars Sullivan on Twitter, Instagram, Facebook, and BodySpace. However, his account on BodySpace hasn’t been updated since 2009. 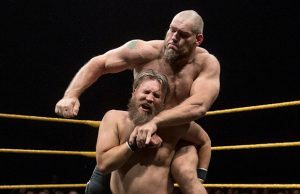 While Lars Sullivan has been on NXT television for less than two year, he has been under contract to WWE for over five years. In October 2013, Mike Johnson of PWInsider reported that WWE had signed Dylan Mile, a 25-year-old male from Colorado who took part in a tryout a few weeks earlier at the WWE Performance Center in Orlando, Florida. According to Johnson, he impressed WWE’s coaching staff with his agility, which included a 37-inch vertical leap. Wrestling Observer Newsletter editor Dave Meltzer corroborated the report but identified him as Dylan Miley. According to Meltzer, Miley was the only person signed from a tryout that included independent wrestling standouts Davey Richards and Eddie Edwards. Miley, who apparently had no wrestling experience when he joined WWE, began training at the Performance Center by September 2014. Check out this video of him participating in an in-ring training drill with other wrestlers. Less than two years after joining WWE, Lars Sullivan wrestled his first match on March 29, 2015, at WrestleMania 31 Axxess. Competing under the name Dylan Miley, he defeated Marcus Louis in just over four minutes. According to a fan in attendance at the event, he dominated Louis throughout the contest. Miley was one of several NXT wrestlers to compete at Axxess, which took place over the course of four days at the San Jose Convention Center in San Jose, California. While many fans were unfamiliar with them, Miley immediately grabbed their attention. Standing at 6 feet 3 inches tall and weighing 303 pounds, Lars Sullivan is like a miniature Mack truck. Not only that, but this monster of a man has enormous hands. To give you an idea of just how large his hands are, check out this photo Paul “Triple H” Levesque tweeted in 2014 comparing his hands to that of Sullivan’s. Sullivan has made it a part of his persona as he will often pose for photos with his hand extended. When he joined Twitter in 2014, his avatar was a photo of his hand. Many people in WWE are high on Lars Sullivan, including Paul “Triple H” Levesque, Kevin Owens, and Brock Lesnar. During a visit to the WWE Performance Center in October 2014, Levesque was so impressed with the big man that he relayed specific instructions to the coaching staff to give him extra attention and have his progress meticulously tracked. Sullivan also impressed Owens with his verbal skills. Lesnar took a liking to Sullivan during the week of WrestleMania 31 in March 2015. So much so that “The Beast Incarnate” flew out to Orlando, Florida a few weeks later to train with him at the Performance Center. WWE officials have high hopes for Sullivan, in large part due to his unique look. Sullivan himself sees the comparison as he liked this fan tweet saying he looks like The French Angel. 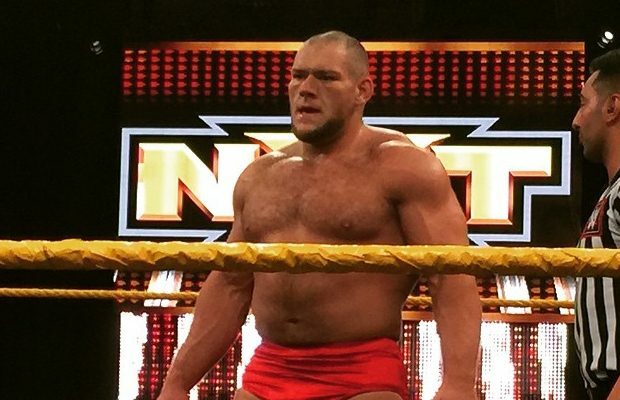 After wrestling as Dylan Miley for just over two years, the colossal wrestler adopted a new ring name: Lars Sullivan. At a non-televised NXT show in St. Petersburg, Florida on May 6, 2017, the ring announcer introduced him under that name. He then beat Cezar Bononi in a singles match. Paul “Triple H” Levesque, who oversees NXT, selected Miley’s ring name. He gave him an Irish-sounding name since WWE Chairman and CEO Vince McMahon has a liking for large wrestlers and is a huge proponent of anyone representing his Irish heritage. Levesque hopes that it subconsciously endears McMahon to him. 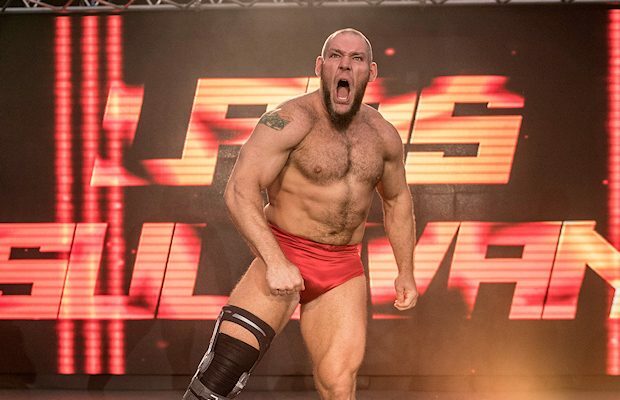 Following the name change, Sullivan changed his Twitter handle to @LarsSWWE and began looking forward to next April. 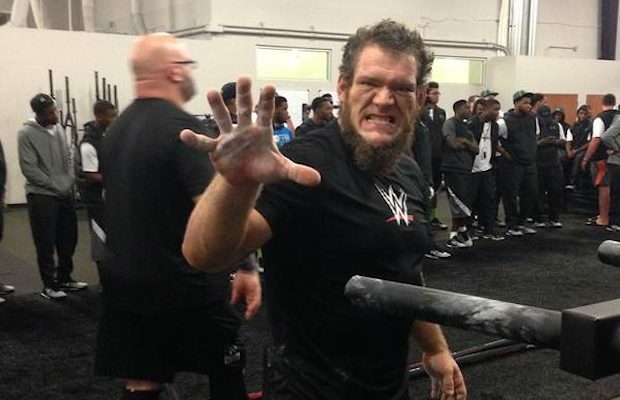 See Lars Sullivan like you never have before in this collection of rare and unseen photos. Long before he became an imposing force in NXT, Lars Sullivan was a WWE superfan in Colorado. Check out these rare photos of Sullivan before he decided to become a wrestler himself. 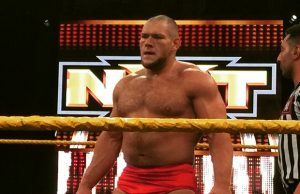 Lars Sullivan on PWPIX.net, your go-to source for the latest news on the WWE NXT Superstar.